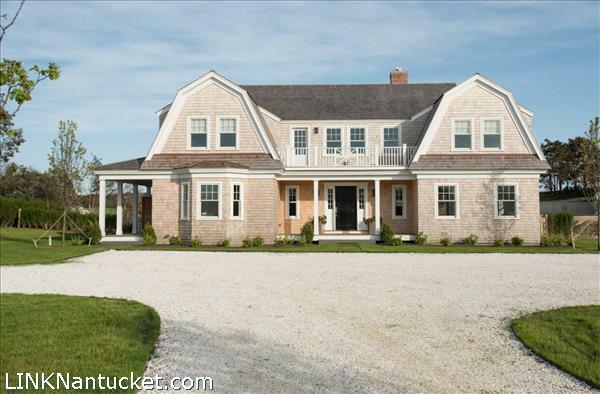 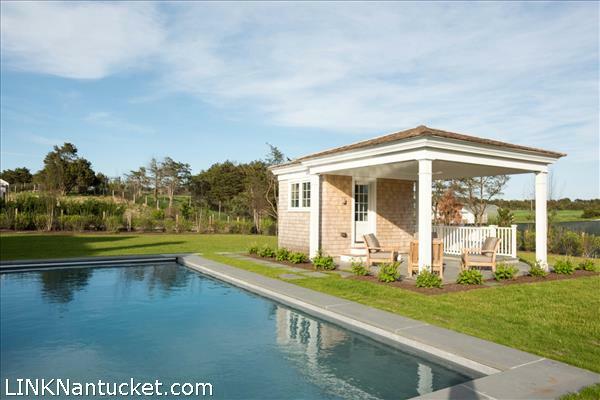 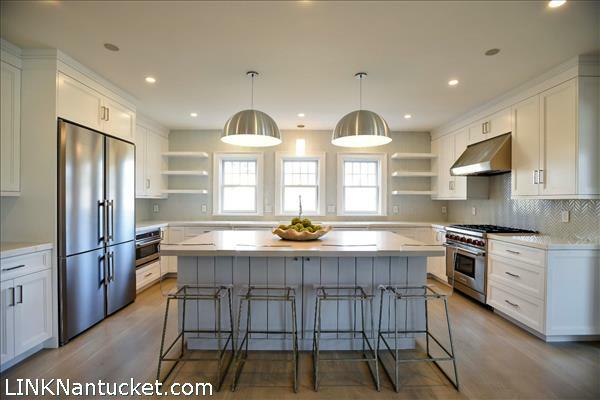 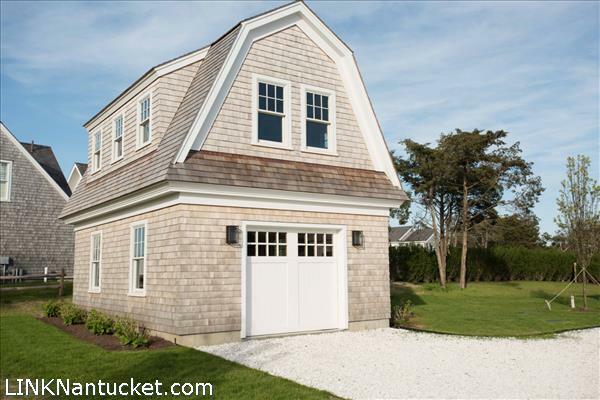 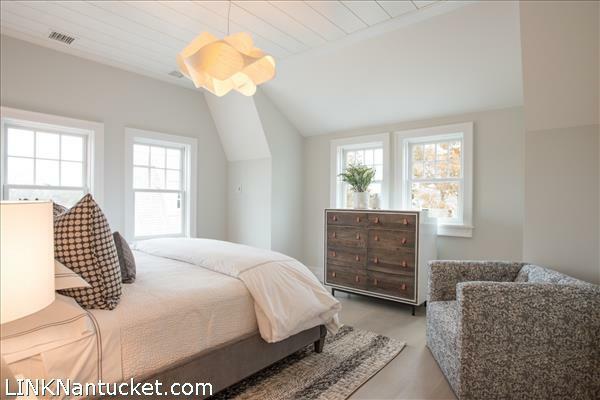 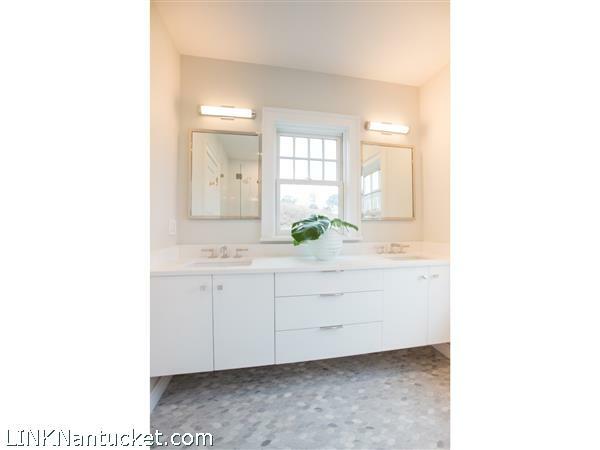 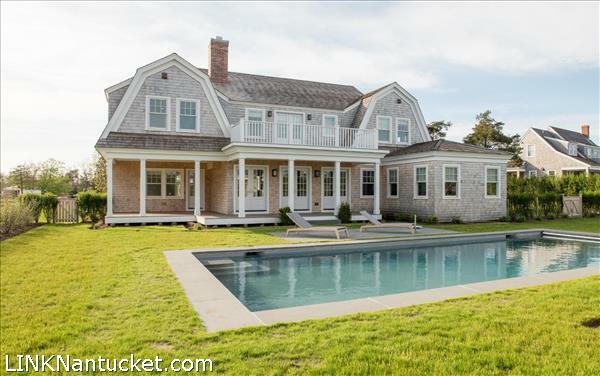 This beautifully crafted, newly built home in Shimmo is the perfect setting for a Nantucket getaway. 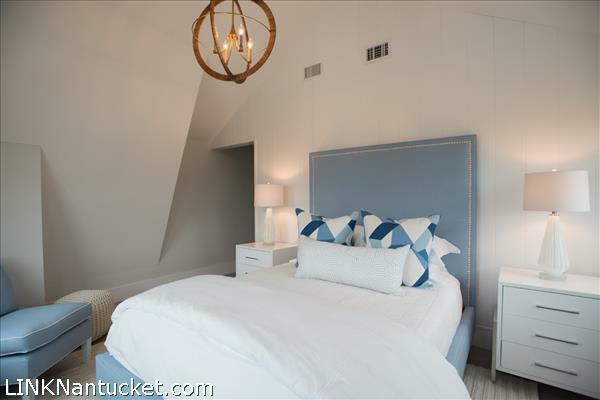 The property features a five bedroom, five and a half bath main house, a two-story garage with a studio above, a cabana with a half bath for the ultimate convenience, and a Gunite pool. 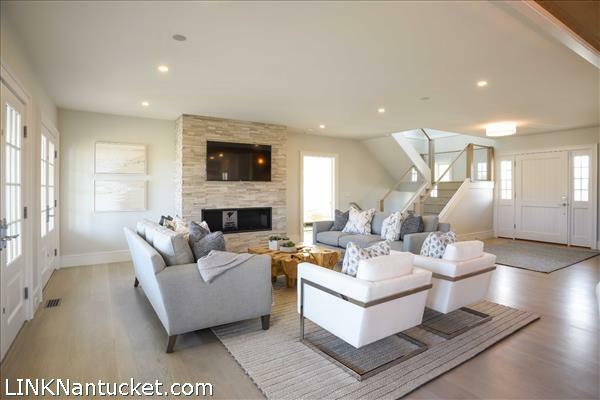 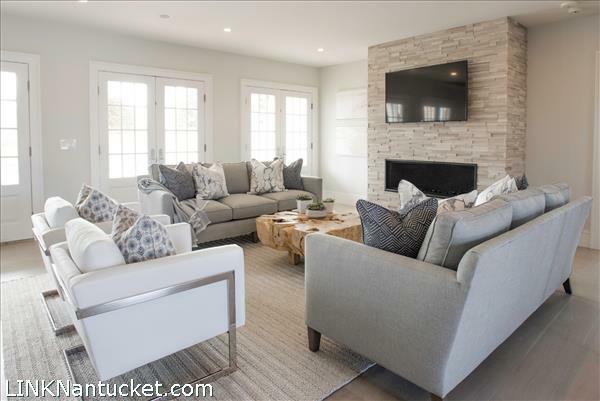 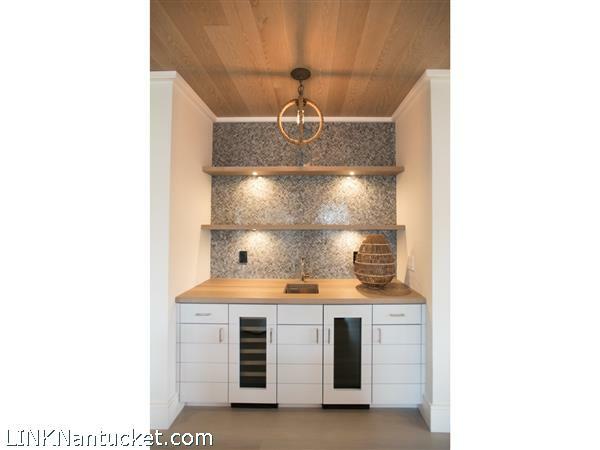 Built by Clarke Brothers Construction and tastefully designed in a collaboration between Nantucket Looms and Elisa Allen Design, 14 Pippens Way has all the comforts to become your Island home. 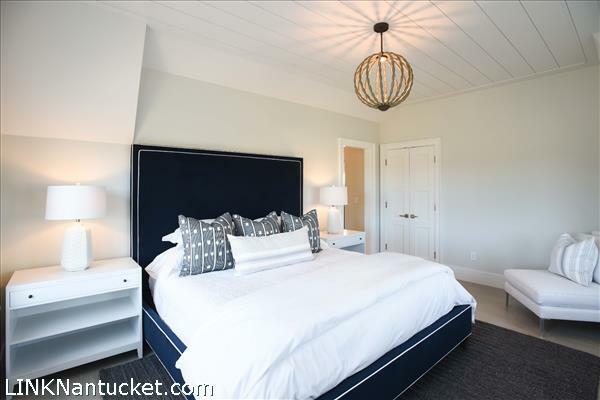 Located just a mile from the beach and a six-minute drive into the historic Downtown, this home is ideally located to be private, yet near all amenities. 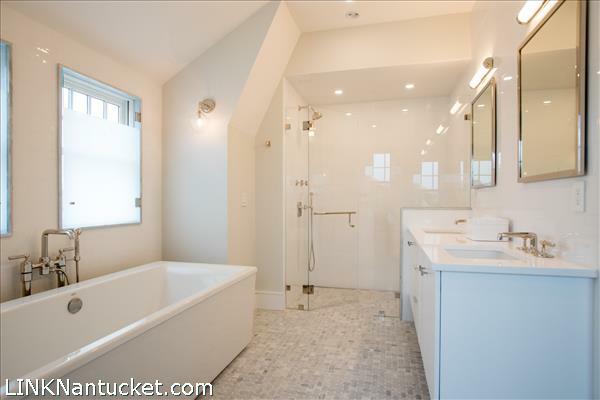 The basement is an unfinished space with plumbing for two bathrooms, perfect for whatever space suits the buyer. 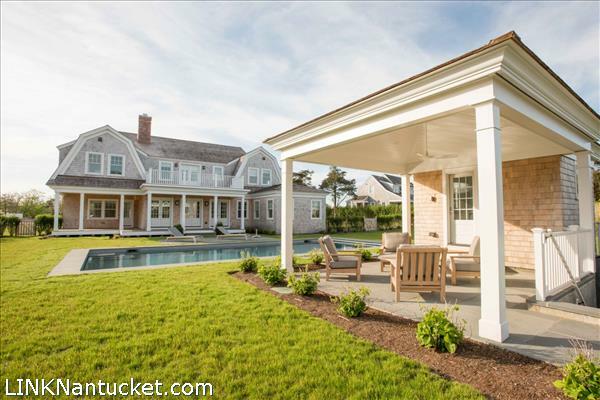 Enter off of the covered porch into the light-filled foyer that, through three large French doors, looks out to the meticulously designed backyard that features the pool and cabana. 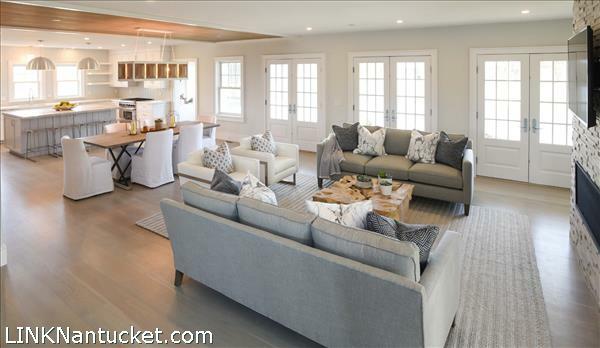 In this open floor plan area is a sitting space that centers around a gas fireplace. 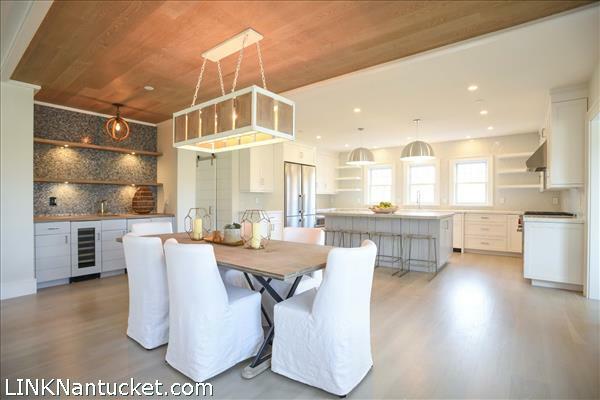 To the left are the dining space, a wet bar, and the kitchen that holds all the features for entertaining with ease, including a six-burner Wolf stove and a four-door Liebherr refrigerator. 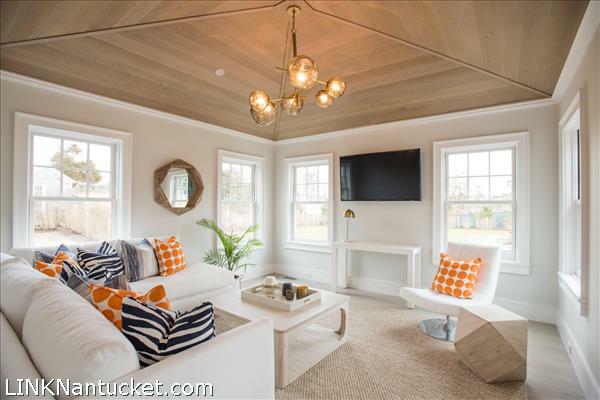 Off of the kitchen to the right is a light and bright informal sitting room. 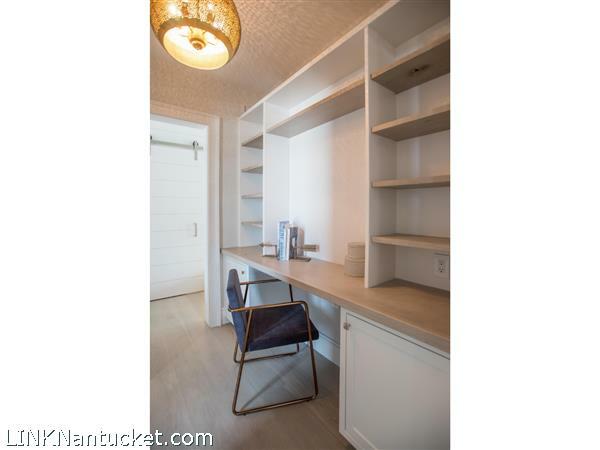 To the right of the kitchen is a hallway that leads off to the pantry and laundry area, the office, and a mudroom that overlooks the driveway. 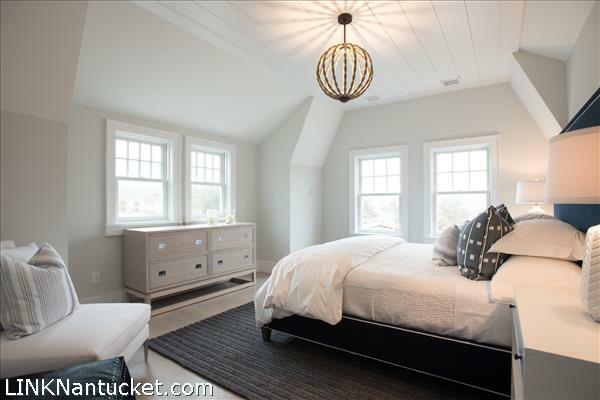 The first floor also features a master bedroom with ensuite full bath. 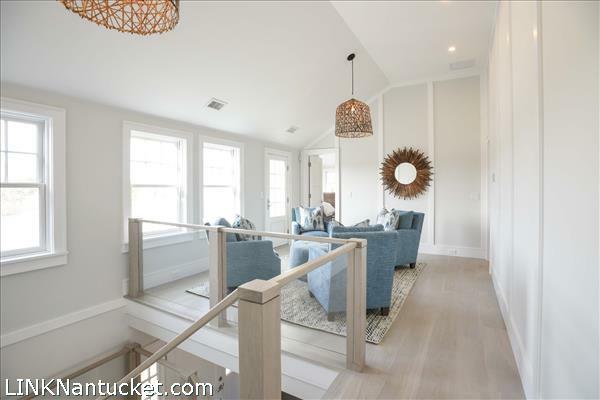 Upstairs features another sitting area with access to the front deck. 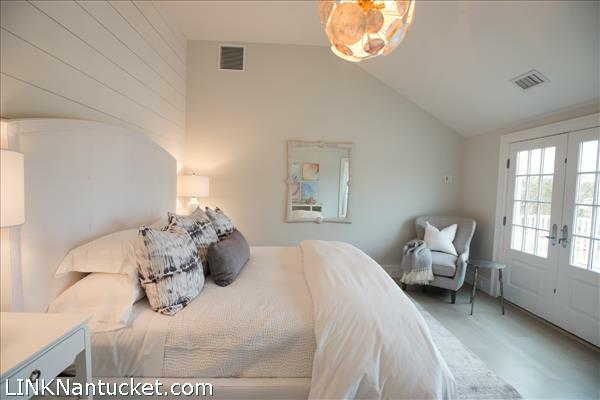 This area serves as a focal point from which the upstairs bedrooms radiate off of. 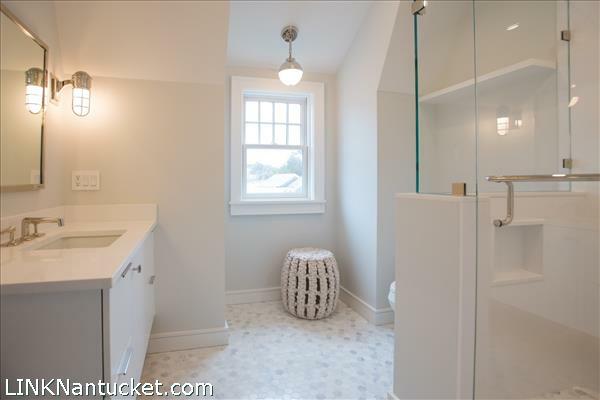 To the right of the stairway is a bedroom with en-suite full bath and plenty of closet space. 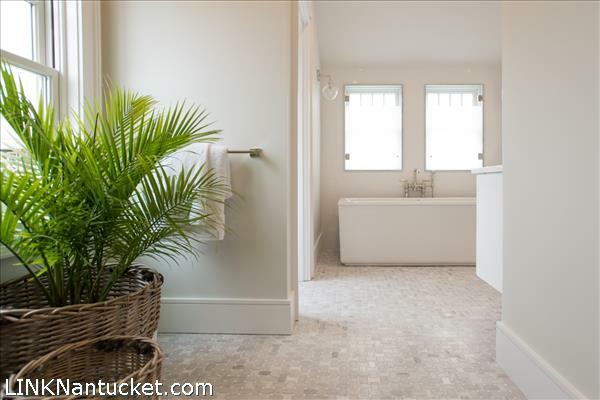 Off of the sitting area is the master suite with a full en-suite bath, complete with a shower and bathtub. 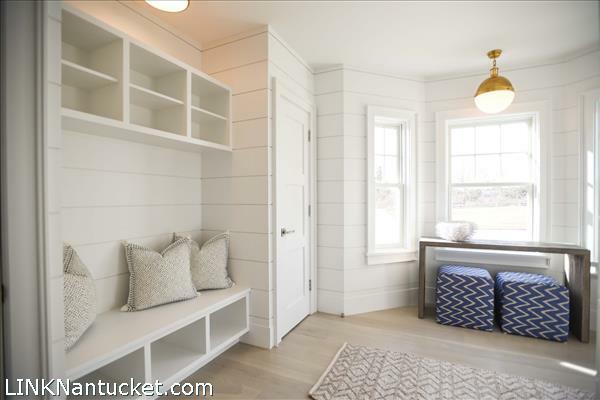 This room also features a walk-in closet as well as French doors that lead out to the deck that overlooks the back yard and pool. 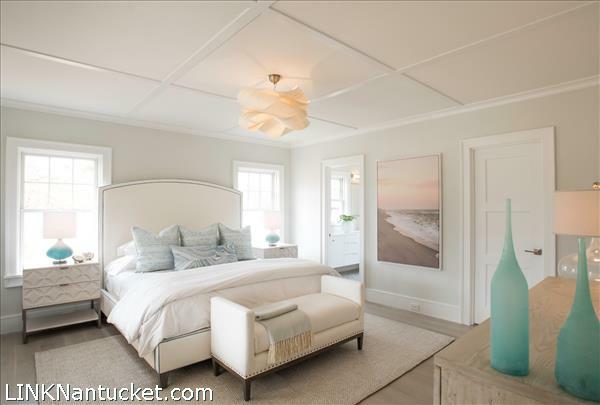 Further off of the sitting room is another bedroom with ample closet space and an en-suite bathroom. 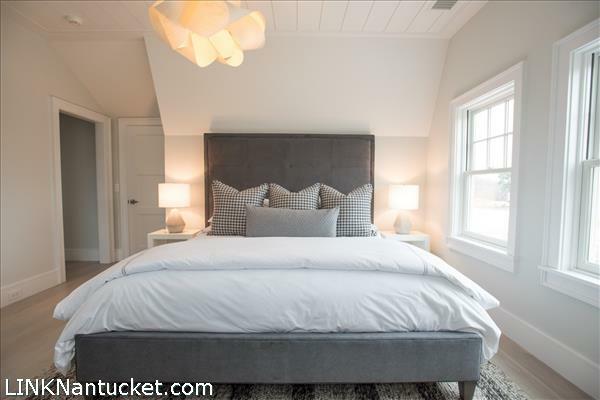 The second floor is complete with another bedroom with en-suite bath and generous closet space.